One of my biggest missions in writing this blog has been to share with hunters that no wild game meat should ever be wasted. Cook-all-day venison, elk, nilgai, or pork uses the tough and sinewy bits that most hunters either grind up or just toss out. Every year, I cook up about 20-40 lbs. 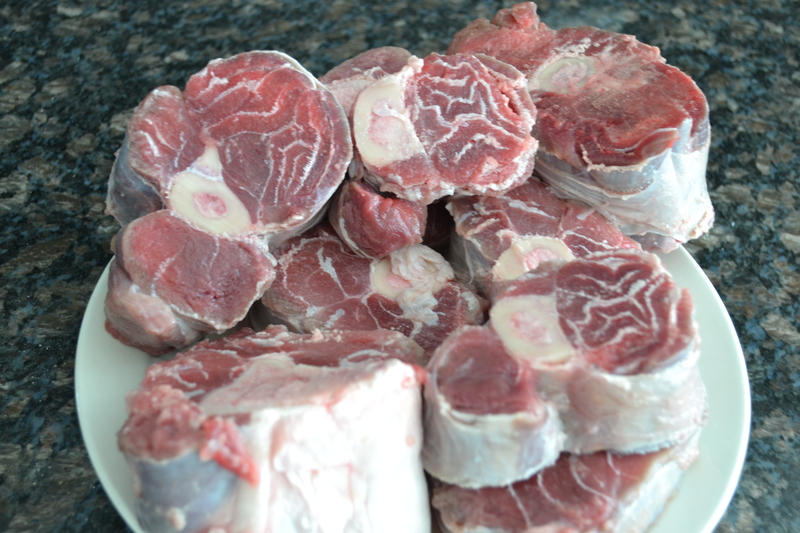 of shank, shoulder, neck, and rib meat that I bag up in one-pound, carefully labeled packages. I also pour the rich, priceless meat broth into bags or jars to use in recipes. 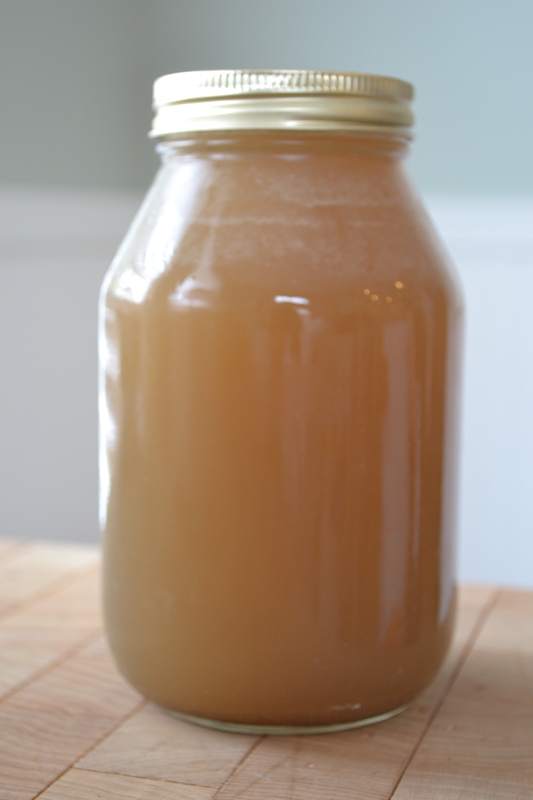 This liquid is like gold to a recipe. You have to pay top dollar for this stuff in gourmet food shops. 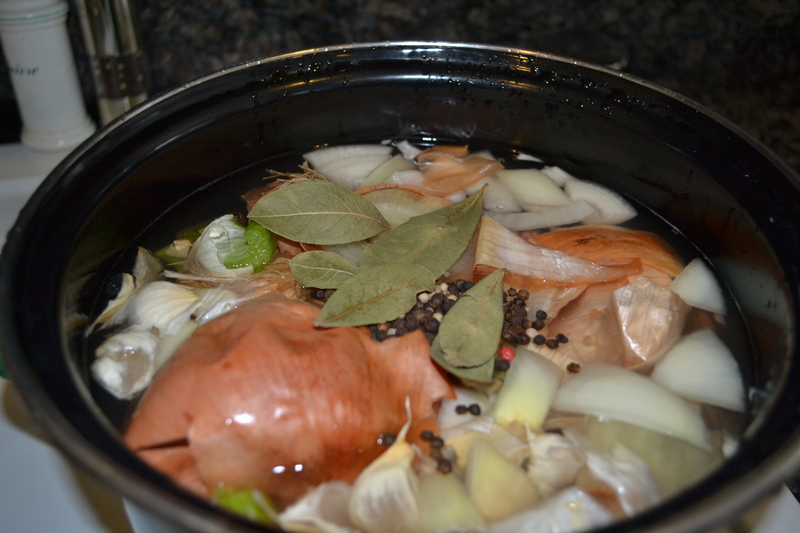 I use my packages of cooked meat and homemade broths in an ever-increasing number of fast, easy, satisfying, and healthy recipes. Here is one more recipe that can be prepared in a pinch, like on a Monday evening when it’s just too damned hard to get your act together. Or when it’s cold out and you discover that you’re gonna have a few extra people for dinner (an hour before they’re scheduled to arrive). With little effort, you can thaw out a package of cook-all-day pork, grab some of this miracle in a jar and a few other ingredients, don your super-hero cape and impress the hell out of your appreciative family. Go for it! Cookwell & Company’s Green Chile Stew is readily available at a Texas grocer, HEB. It can also be purchased online. 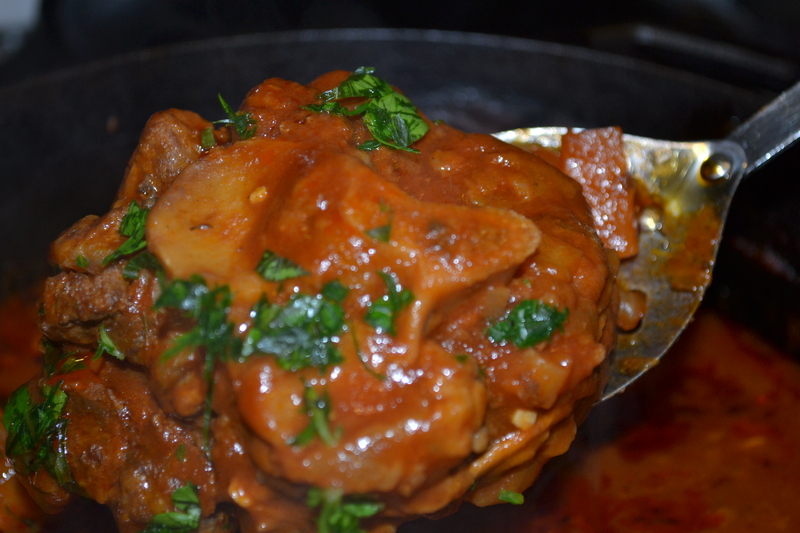 Its bold flavor and chunky texture compliment the mild flavor of my cook-all-day wild pork. I purchase several jars when they go on sale to keep in the pantry. If we ever move into an area that doesn’t have an HEB, I’ll order it by the case. 1 jar of Cookwell & Company’s Green Chile Stew, 32 oz. 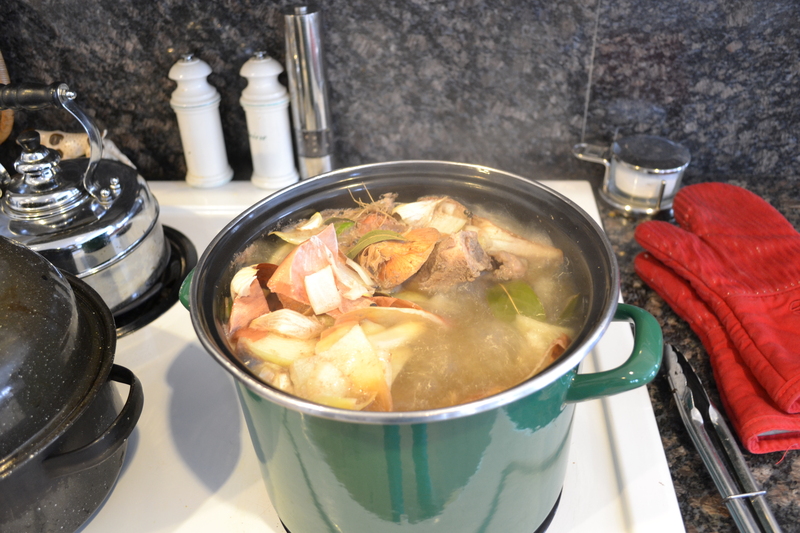 1.In a dutch oven, combine pork, contents of jar, cooking juices or stock. and comino. 2.If using roasted corn, cut it from the cob and add to stew and simmer. Or add canned corn. 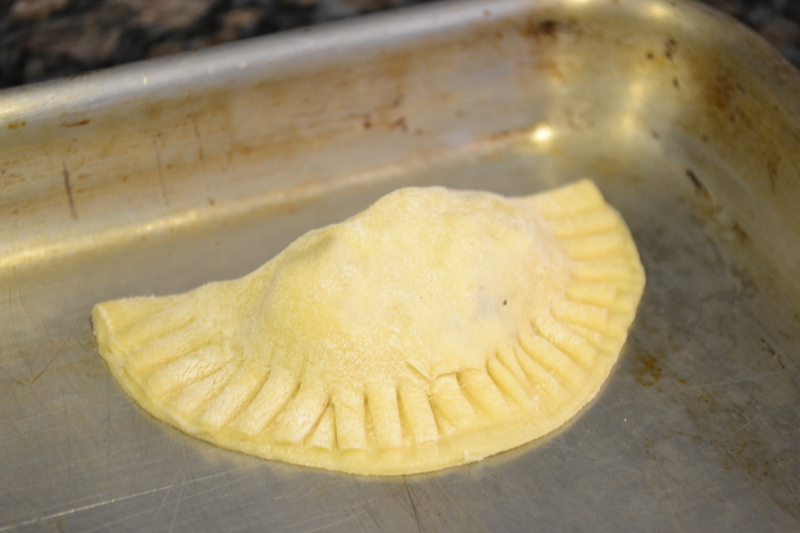 Canned corn can be spread out on a cookie sheet and roasted under the broiler, as well. Just toss it around a bit as it browns. Before using in a recipe, remove any kernels that might have burned. 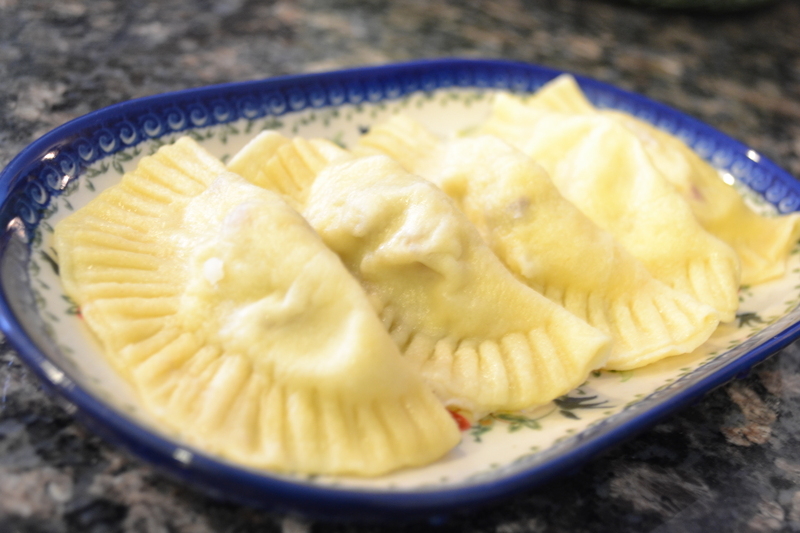 4.Add a plop of sour cream or plain Greek yogurt. Add a sprinkling of grated cheese. Serve with crusty bread. Tuh Duh! Too easy not to love! 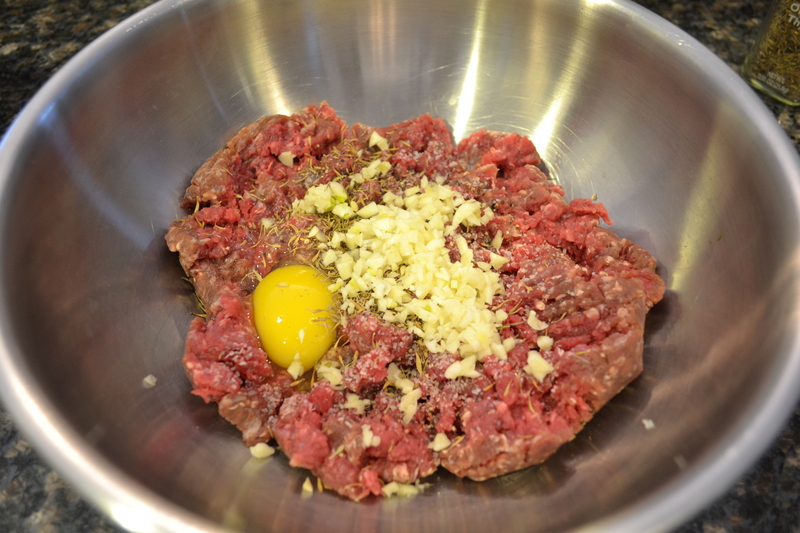 I was so excited when I read Hank Shaw’s post on Corned Venison! I’m a huge fan of corned beef and a big fan of Hank Shaw, as well. There are few things better than a corned beef sandwich on rye bread (except perhaps corned venison or corned nilgai) served up like a reuben with saurkraut and beer mustard. Hank did a very thorough (and beautifully photographed) job of describing the process of making corned venison so I didn’t bother putting my own spin on it except that, this most recent time, I used half of a nilgai roast instead of venison and I threw in a deer heart just to see how it would turn out. (Really well!) I’ve prepared the recipe three times now. The first two times, I used venison football roasts. The recipe turned out great. Flavorful and tender. The Instacure I ordered from Amazon Prime. I followed Hank’s directions to a “t” except that I used brown sugar rather than white for the brine. I just like brown sugar better as a general rule. My biggest challenge came when I was looking for a container to place my meat in while it brined. I settled on a plastic cylindrical container that 4 lbs. of potato salad came in. It sealed nicely and was just the right size for a 1/2 nilgai roast plus a deer heart (just cuz) and could be slid into the back of the fridge. 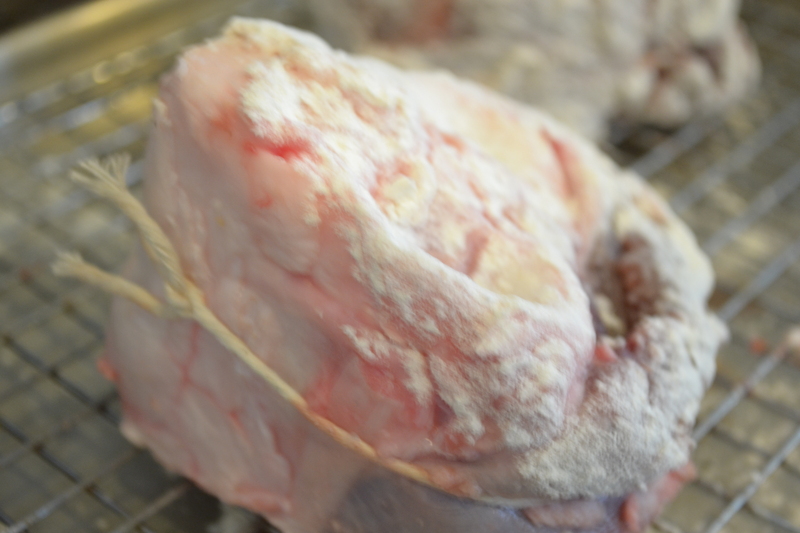 The same container (after it was thoroughly cleaned) was perfect for storing the cooked meat which needs to be kept in the cooking liquid so it doesn’t dry out. Nilgai is pretty dense, sinewy meat so I punctured it pretty liberally so that the brine could penetrate all the way through. For the heart, I just cut off about the top ½ inch, rinsed it out well and tossed it into the brine with the other meat. Our favorite way to eat the corned meat is on a sandwich which has been toasted, panini-style, with my George Foreman Grill. I find the best rye bread that is available in the Rio Grande Valley, slather it with beer mustard, a slice of swiss cheese, and some saurkraut. I spray the outside of the sandwich with olive oil cooking spray and grill it on the ol’ George Foreman. 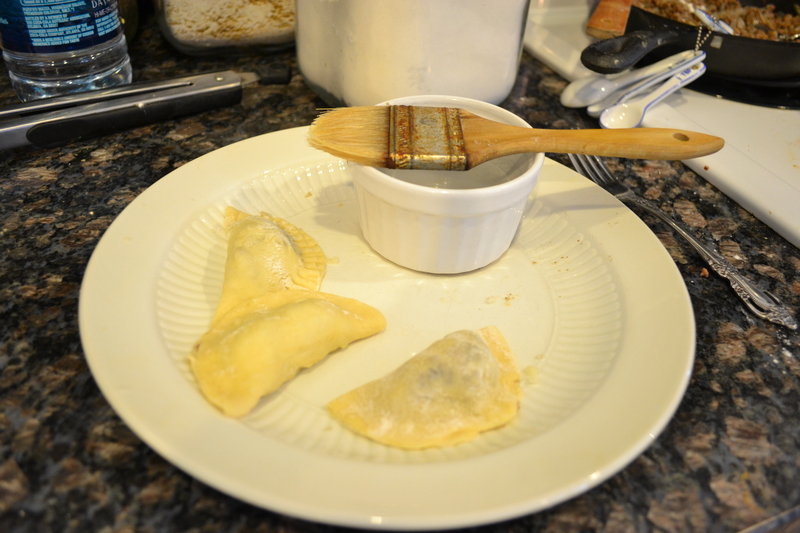 The same effect could be accomplished with an actual panini press or in a cast iron skillet. The result is crisply toasted bread, melty cheese, and fabulous corned meat that I prepared myself for my Deerslayer Clan! Promise me that you’ll try it! The other day, a wine-induced conversation ensued in the Deerslayer household regarding the best of all culinary goodness . 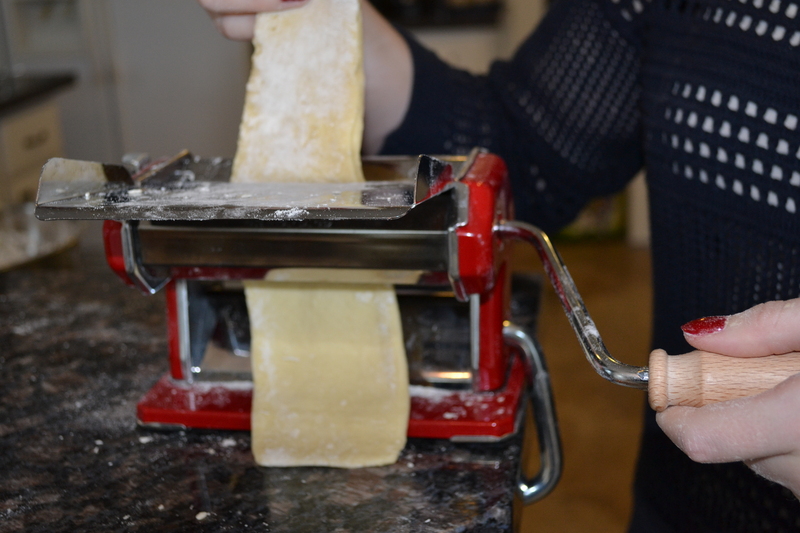 Is pasta better than pizza? Is seared venison tenderloin superior to chicken-fried venison steak? In our family, I have to admit that pasta, cheese, bread, and garlic topped the list since junior deerslayers were voting as well (only one is old enough to partake in the wine, however). Of course, because we are a deerslayer household, wild game made it into the top 10. 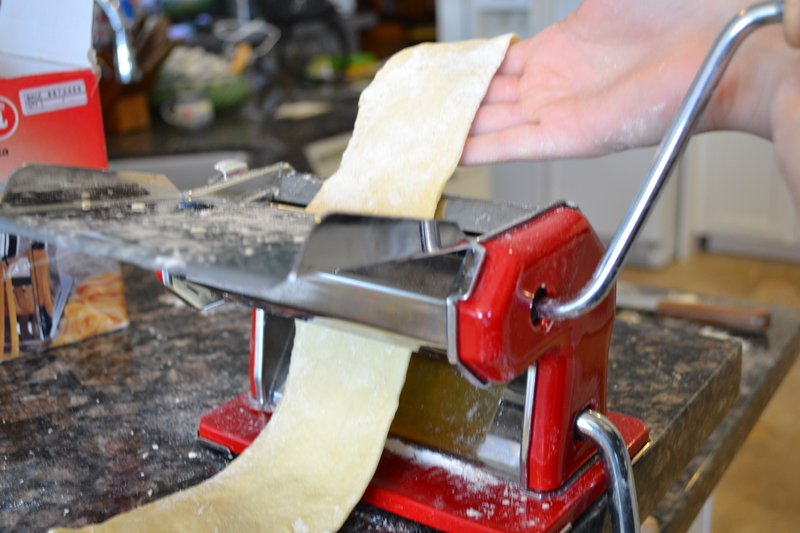 One of the daughters makes a killer spicy marinara that is a favorite addition to pasta and wild game alike. With that in mind, a little brainstorming resulted in the following recipe. 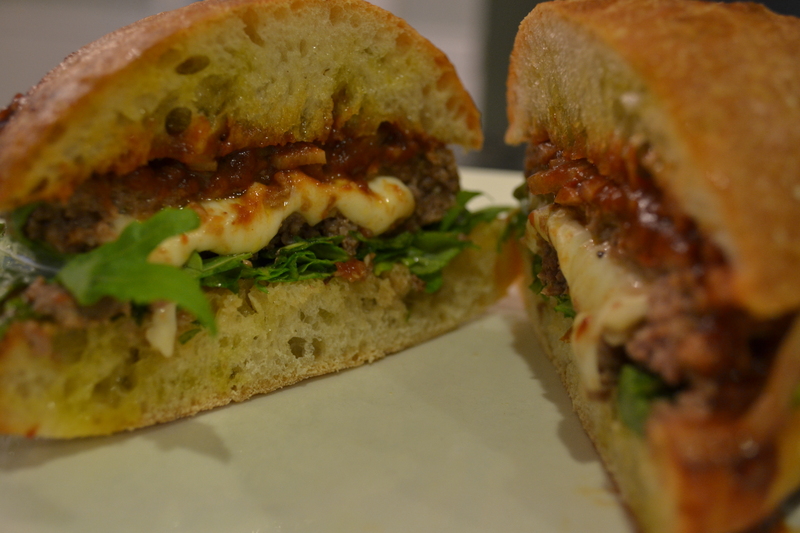 Beautifully seasoned venison, sliced mozzarella, fabulously flavorful marinara, crusty ciabatta, and peppery arugula came together to create the perfect combination of flavors, the consummate burger. Balsamic glaze is a good way to add intense flavor without adding too much liquid. 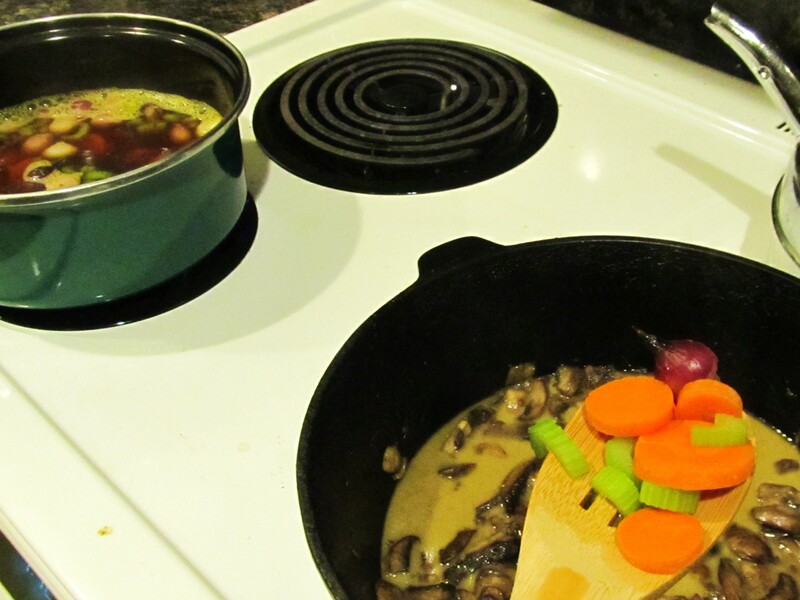 Balsamic vinegar can be used but you might need to simmer for a few extra minutes. 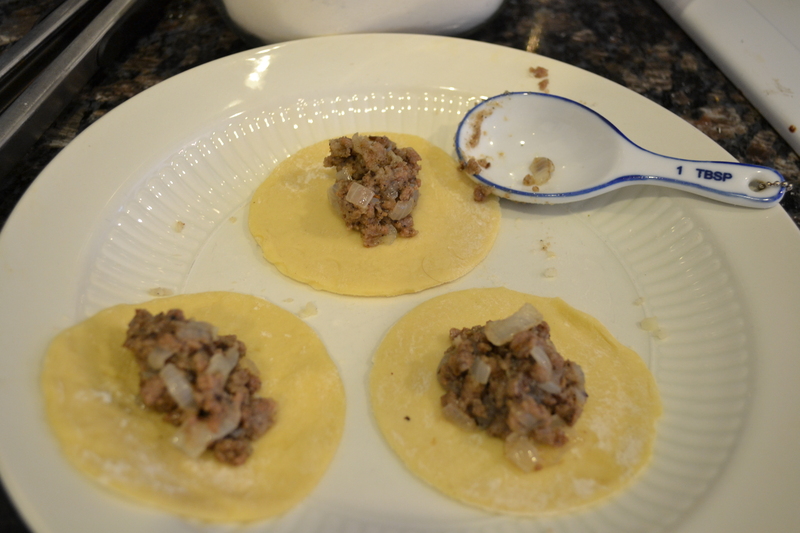 In a high-sided cast iron skillet, saute′ finely chopped onion in olive oil for a couple of minutes. Add cayenne, white pepper, and oregano. 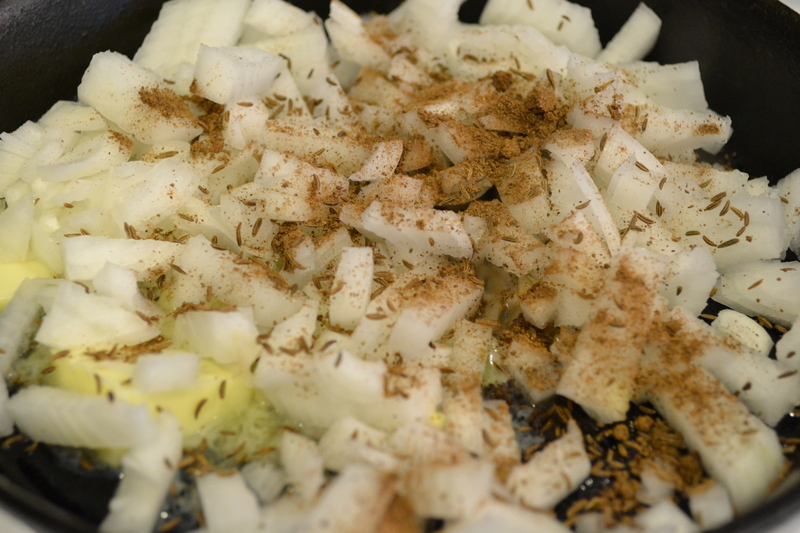 Stir around to let the olive oil work its magic on the spices. Add garlic and continue to stir for about a minute. Don’t let the garlic brown. 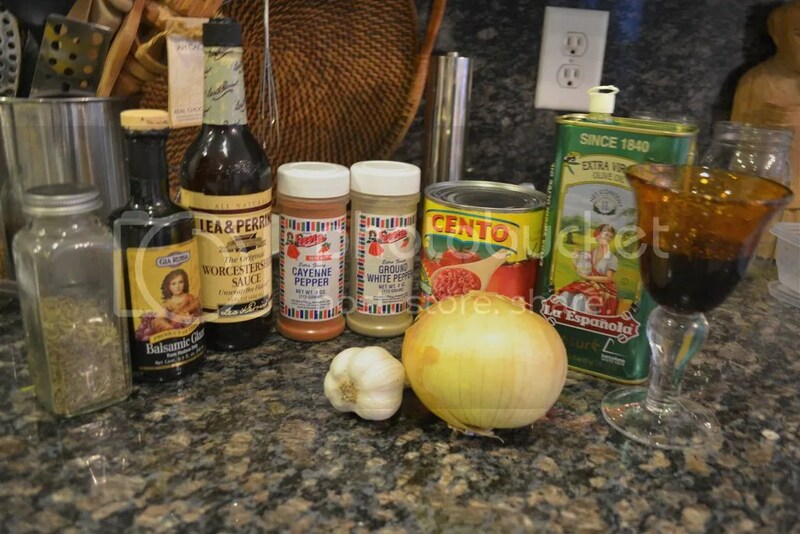 Add tomatoes, wine, balsamic glaze or vinegar, and Worcestershire sauce. Simmer while you assemble the burgers. 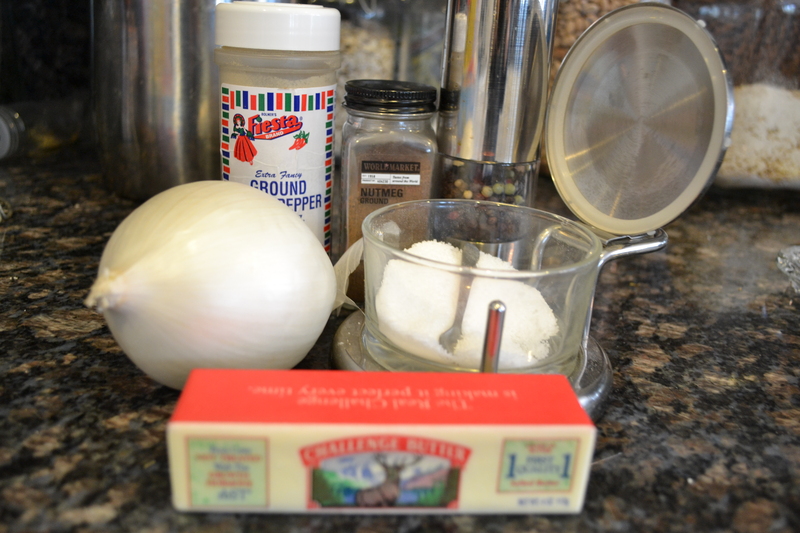 Combine all ingredients expect mozzarella in a bowl. Each burger will require two very thin patties of the same size. 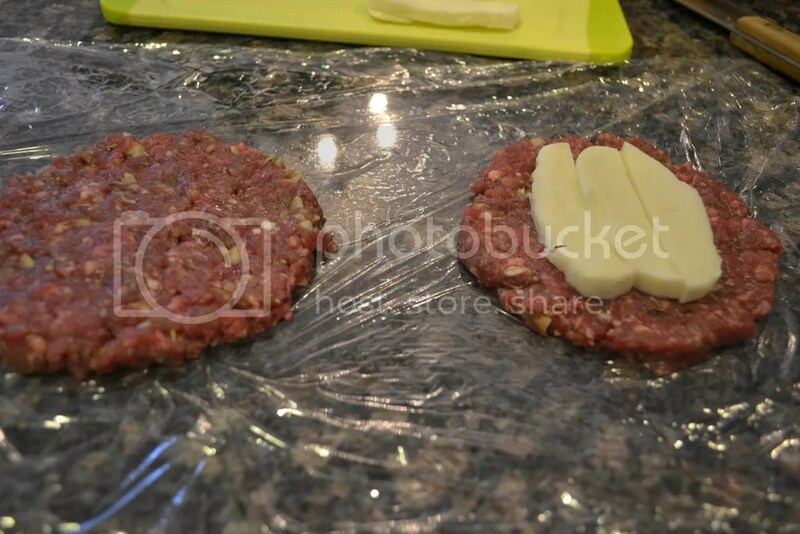 Place mozzarella on one patty. Leave room around the edge to seal shut. 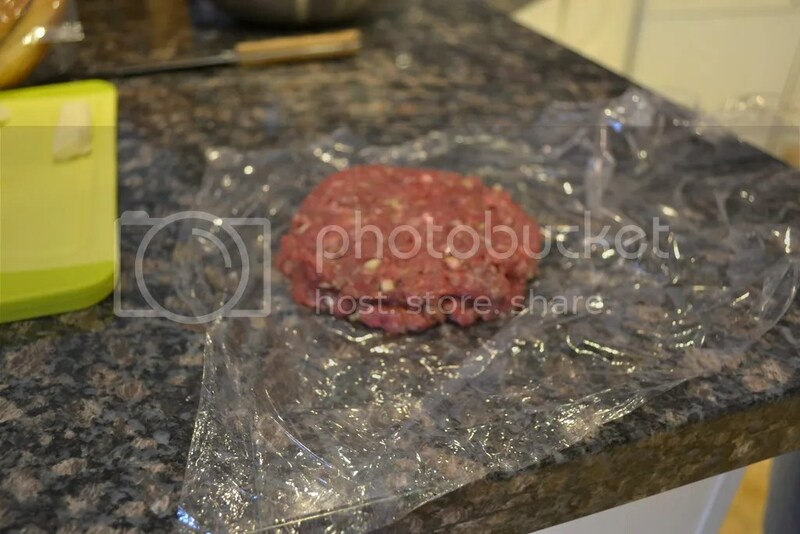 Making the meat patties on plastic wrap allows me to shape and move them around easily. Place one meat patty atop the other. 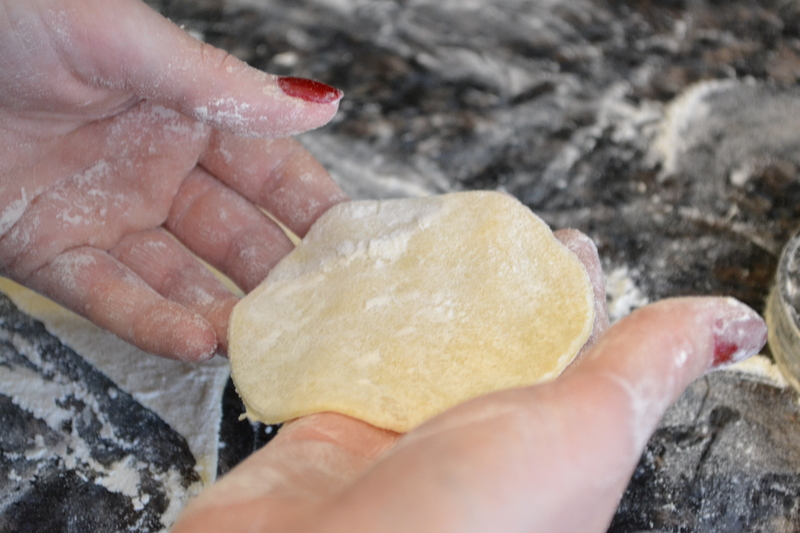 Press around the edges to seal the mozzarella inside. 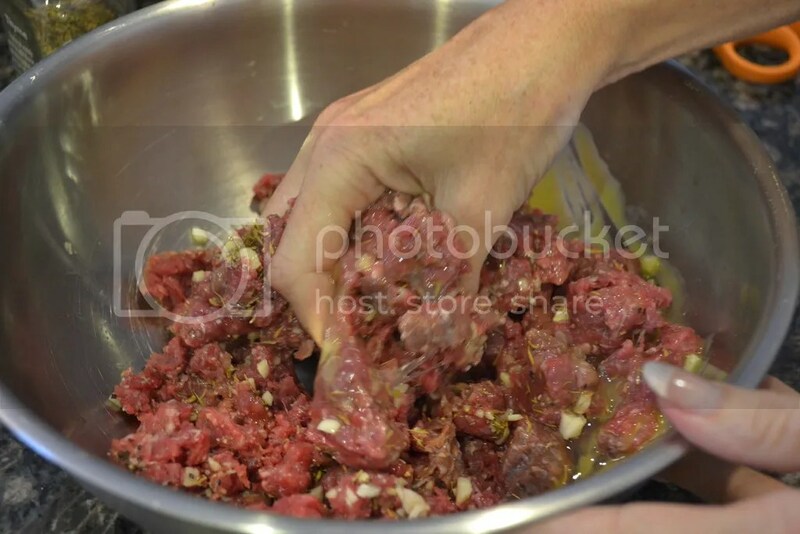 The cooking method you use to prepare the meat is up to you. 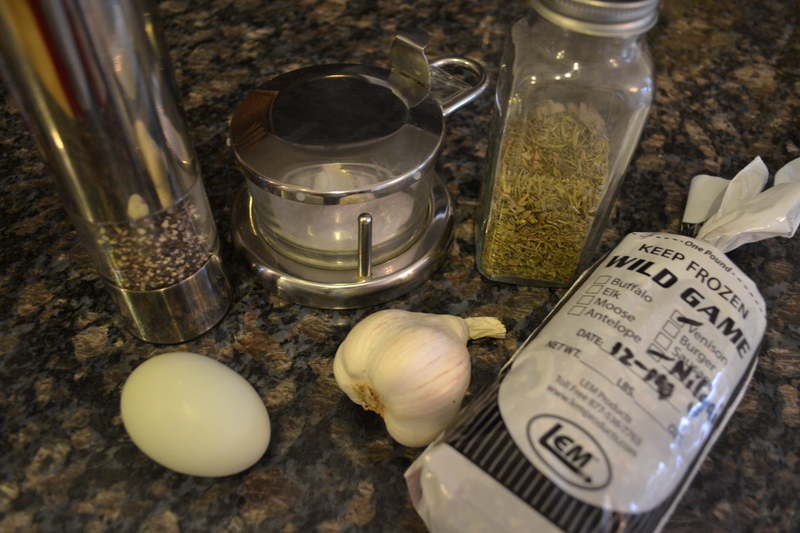 The burgers can be grilled or cooked in a hot skillet or griddle. 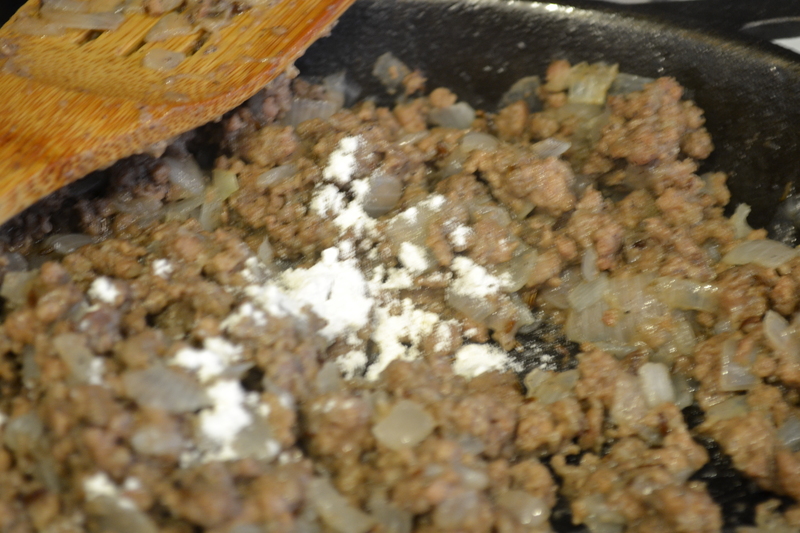 Because the meat is so lean, be sure to use a little oil to prevent the patties from sticking to the cooking surface. 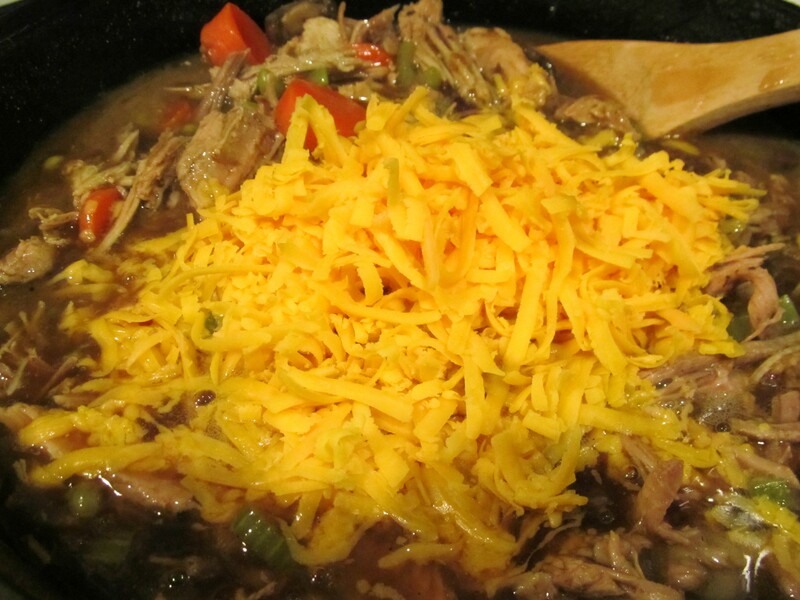 I used a hot cast iron skillet, being sure to allow meat to sear, then lowering the heat enough to make sure that they heat through and melt the cheese. 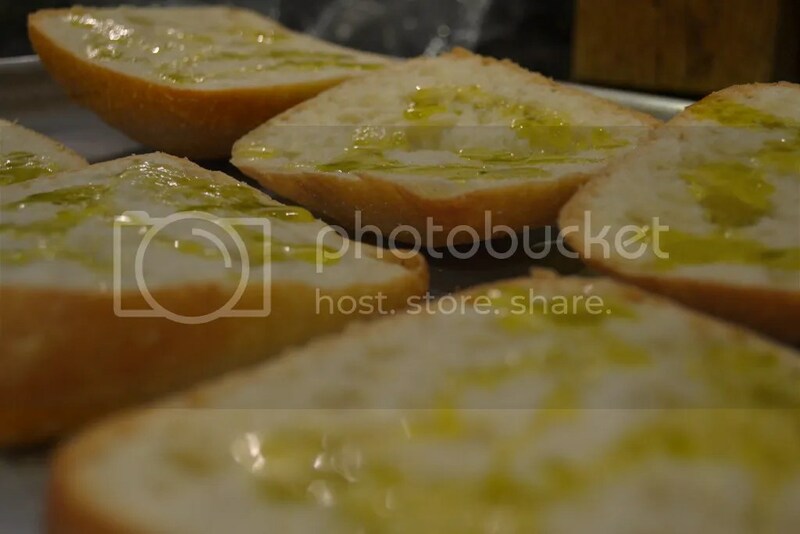 Drizzle olive oil on split ciabatta rolls. Toast under the broiler or on the grill for a few minutes. 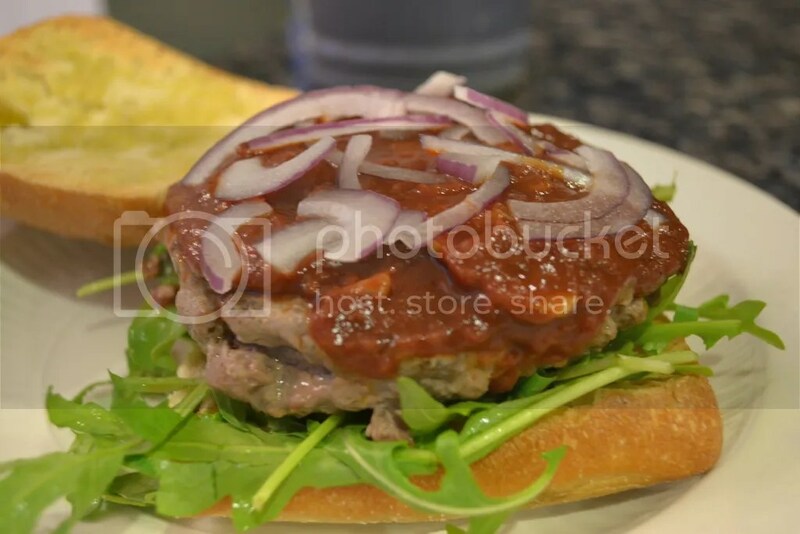 Assemble burgers on a bed of arugula placed atop the toasted ciabatta. Liberally spread spicy marinara over the meat. top with thinly sliced onion, if desired. I love to cook. I’m guessing that anyone who reads these posts does, too. It’s important to me to use the wild game that my Deerslayer fills our freezer with… and to use as much of the animal as possible. I’m not sure why it took so long for me to start making my own stock. 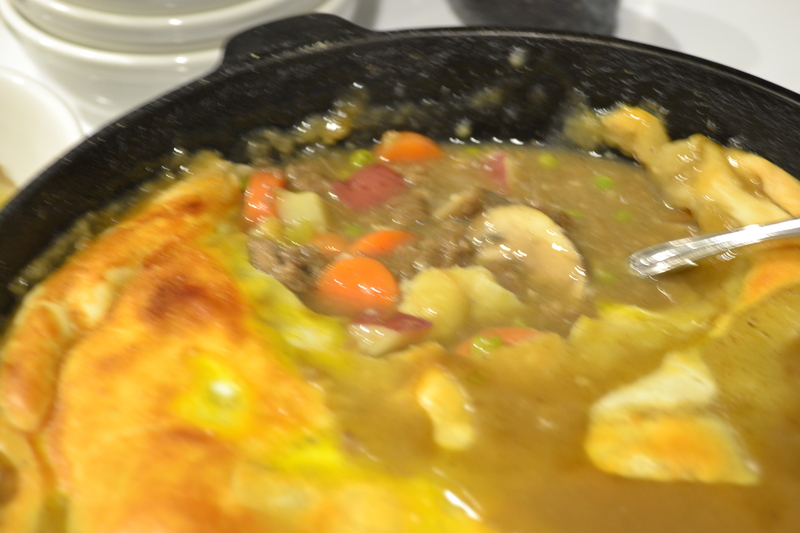 There’s no denying that it enhances the flavor of many dishes and can’t be beat in soups and stews. I’ve made chicken and turkey stock for years but I simply never made the leap of faith to use the meaty bones of venison and nilgai to create my own integral basis for so many recipes. It’s actually right up my alley. No waste! Use all usable parts! Feed my family with the healthiest possible foods! Be cheap! Boxed stocks cost $2 a box or more and I go through quite a bit in my cooking. The yellow onion skins impart a rich golden color to the stock. Once I embraced the “be cheap, do good” mindset (and had some awesome bones in the freezer), I took it one step further. 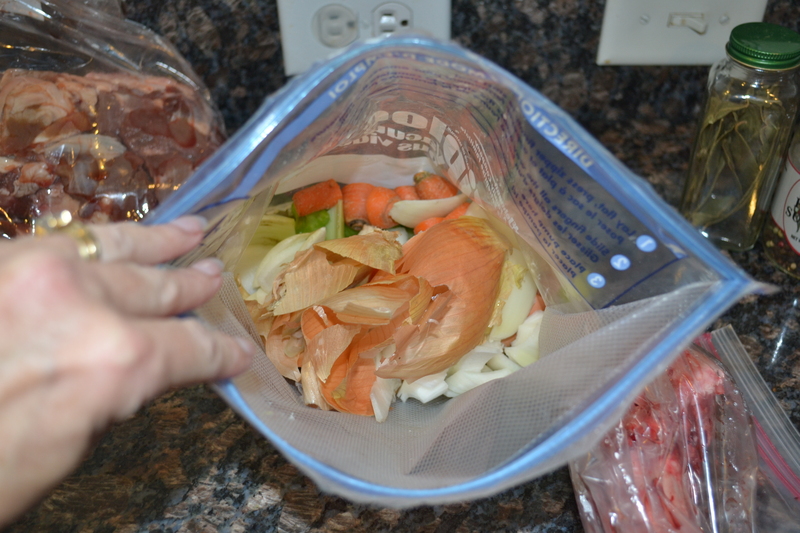 Every time I chopped veggies (carrots, celery, garlic, onions), I saved the scrappy ends and skins in a gallon-sized zip-lock bag in the freezer until it was full. I neglected to photograph the other stockpot, slotted spoon, or tongs. Oops. Or jar lids. 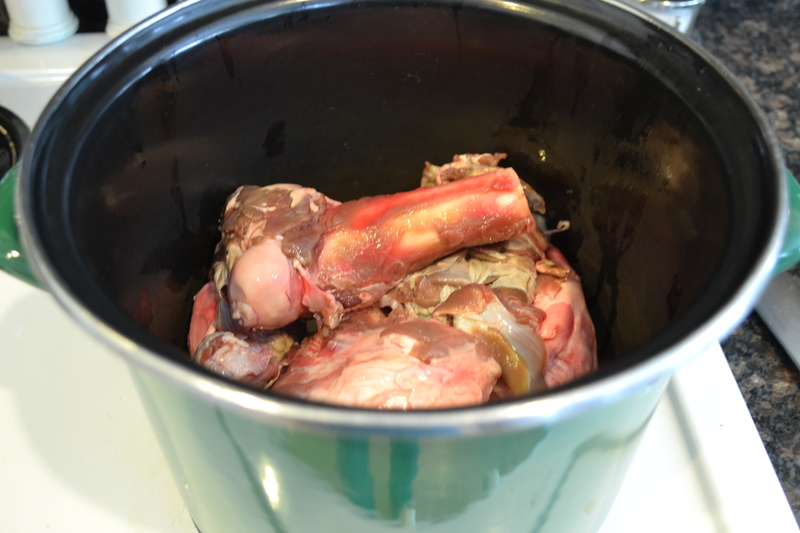 I put sawed, meaty bones into a stockpot. The extra meat adds more flavor. Hank Shaw, an expert in the area of wild game cookery, roasts the bones first for additional depth of flavor. Add veggie bits (onion ends and skin, carrot ends, celery ends, garlic and skins) collected over time, in the freezer, to the mix. Add filtered water to cover. 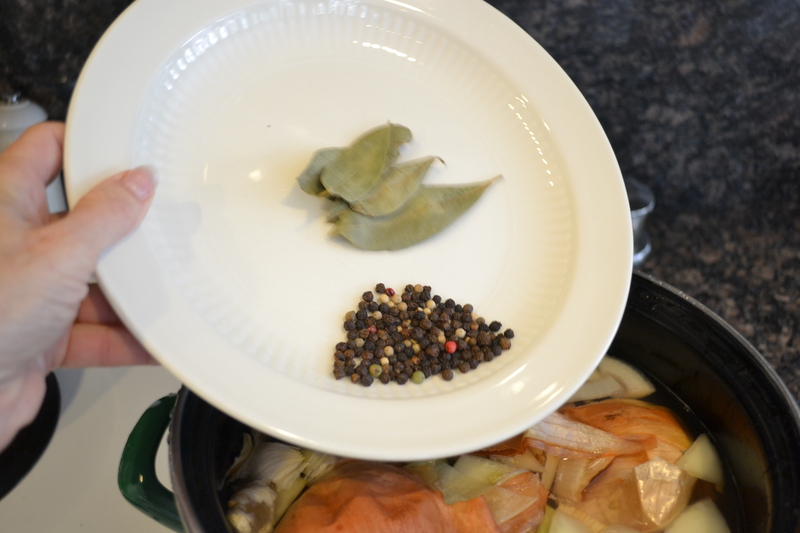 Toss in about 4 bay leaves and about a tbsp. of peppercorns. 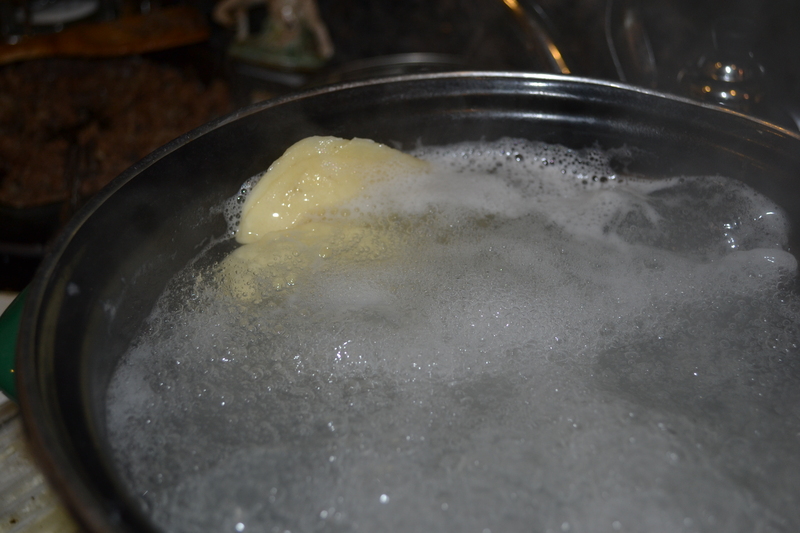 Bring to a boil and reduce heat to just more than a simmer. Cover. Let it work its magic for about 4-5 hours. Keep an eye on the water level. Add more as needed to keep things covered. 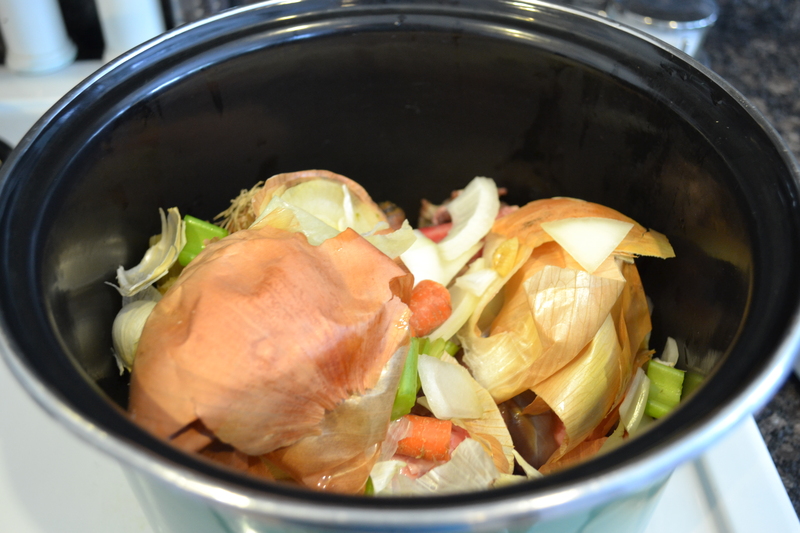 Once the stock is ready, use tongs and/or a slotted spoon to remove all bones and vegital matter. 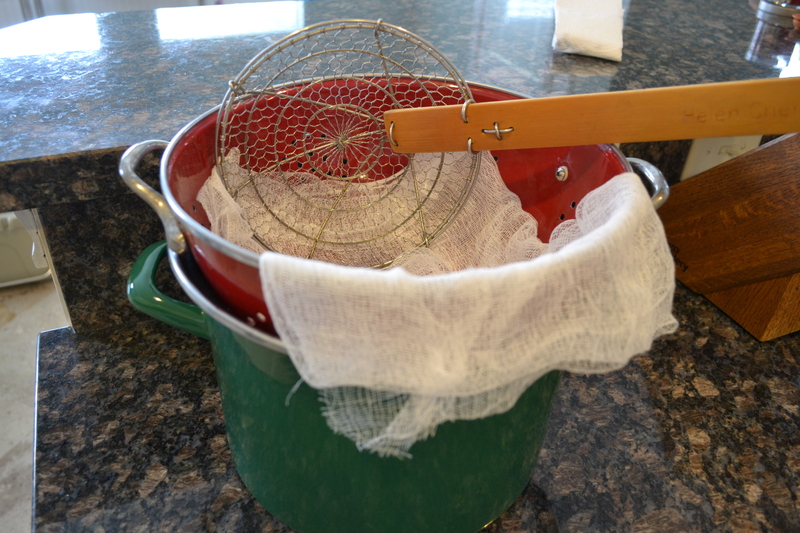 At this point, line the collander with several layers of cheese cloth and strain the stock into the second stockpot. Depending on how clear you want your stock (I’m not a real stickler on this point), it can be strained a couple of times. Decide how quickly you think you will be using your stock. 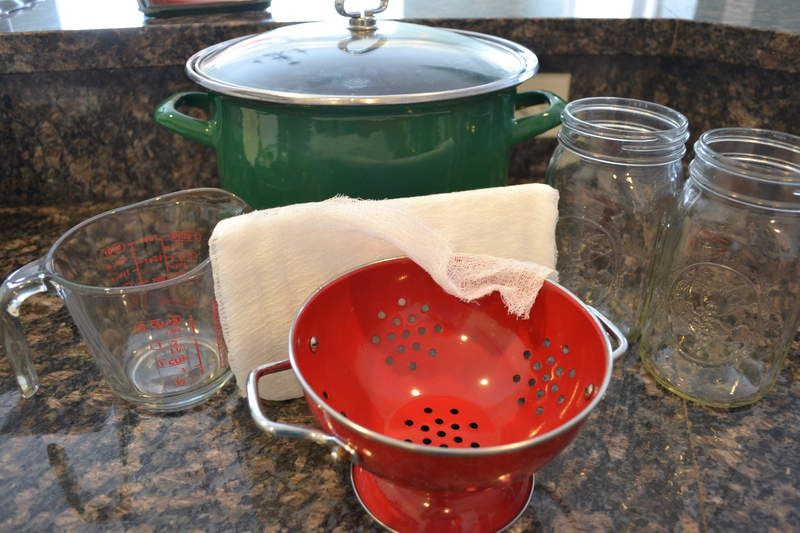 I pour some up into canning jars that will placed in the fridge be used within a couple of weeks. 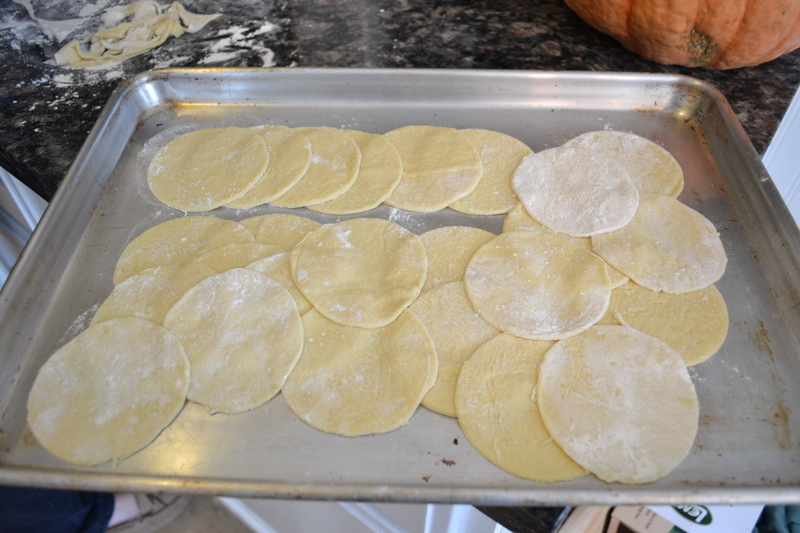 The remainder is poured (in 2 cup measures) into freezer-safe containers or freezer bags that are then laid out on cookie sheets in freezer for easy stacking later. Deerslayer had a delicious meal in Vail a while ago that he was excited for me to research and try to replicate. He was so enthusiastic (and cute) that I couldn’t say, “no”. 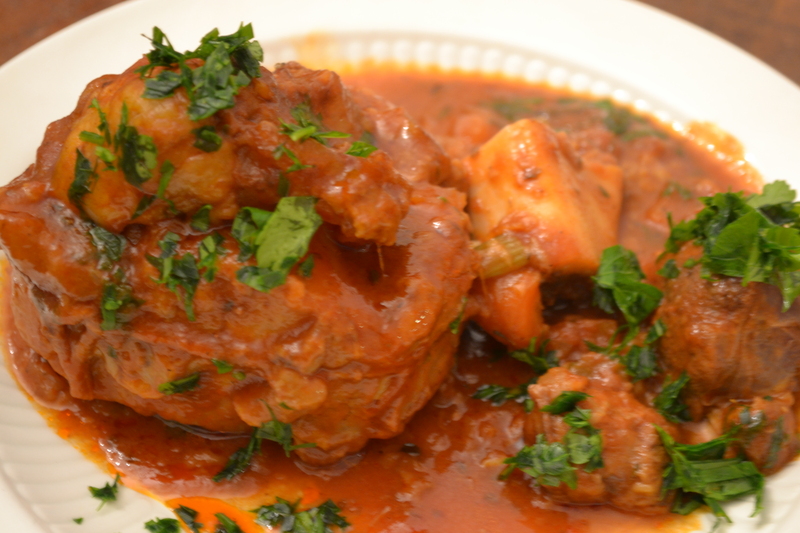 The dish was Osso Buco (which means bone with a hole) and is traditionally made with cross-cut veal shank that is then braised in a savory mix of veggies, tomatoes, and wine. If a hunter decides to prepare this recipe with wild game, keep in mind that venison shanks are pretty puny for this particular application. The shanks need to be decently large and meaty like might be found on an elk, bear, wild pig, moose, or NILGAI! This photo shows very clearly the sinewy layers that seem to run through the muscle of nilgai meat. Not just shank but other muscle cuts as well! Since we don’t purchase meat from a grocer, how fortuitous that we recently acquired some very nice nilgai shanks as part of the reward of a successful hunt. 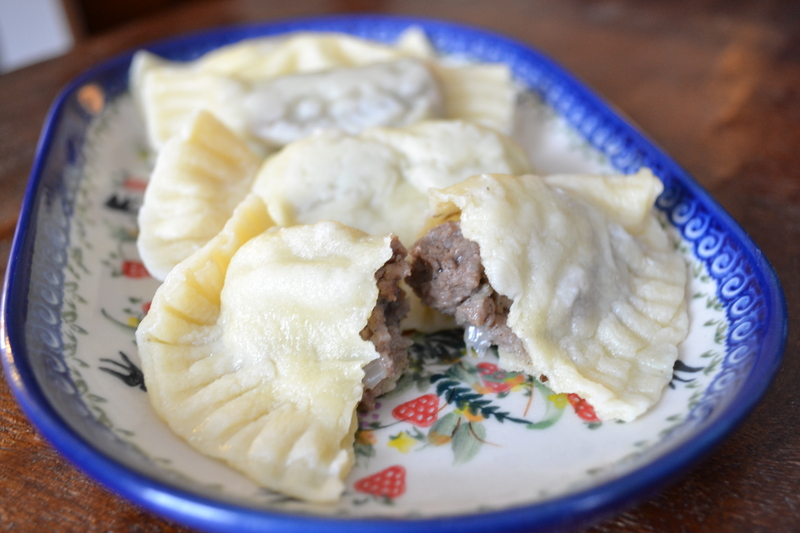 As I began to scour the blog world for wild game versions of this recipe, I found posts dealing with bear, moose, and elk. I was thrilled to stumble across Hank Shaw’s Hunter-Angler-Gardener-Cook. There’s some pretty powerful stuff in the wild game cookery department on his website. I’m pretty sure I’ve found my new wild game cooking bible. His books are definitely on my birthday wish list! I ultimately ended up preparing a version of his recipe. Deerslayer and I also needed info on the best way to cut the shanks so that we’d end up with the clean cross-cut slabs. We wanted them to be about 2 to 2½ inch sections. 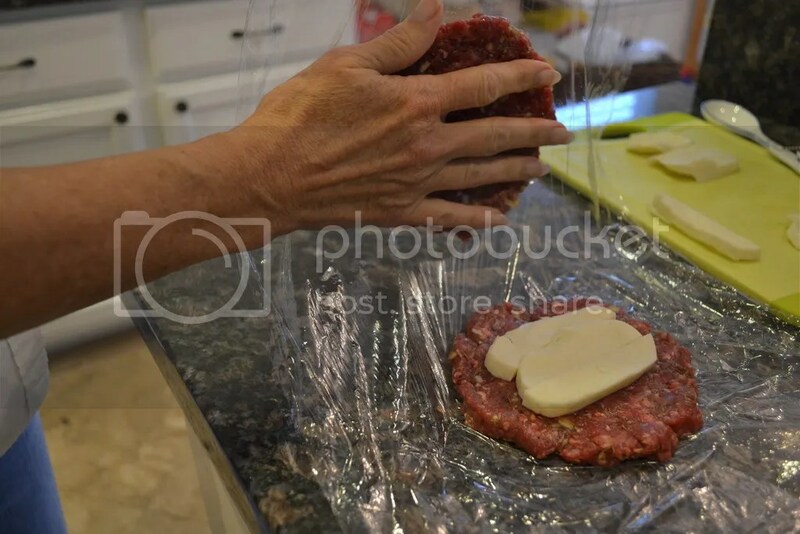 The meat was slippery and difficult to hold on the cutting board because of the fascia (silverskin). Of course, having the proper tools for the job makes everything much easier. Since we didn’t have a butcher’s meat band saw, we tackled the problem by wrapping both ends of the semi-frozen shank with clean kitchen towels on either side of the cutting line. Laying the towel-wrapped shank on the cutting board, (and having me hold one end) Deerslayer was able to use an LEM hand-operated meat saw without the meat sliding all over. We ended up with 4 servings per shank. 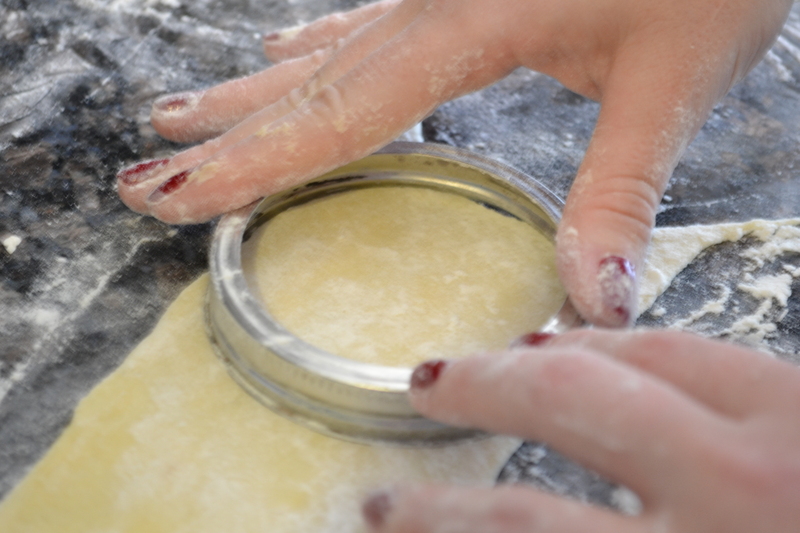 Cooking time is about 3 hours depending on the size of the shanks and amount of sinew. The nilgai took every bit of the 3 hours. 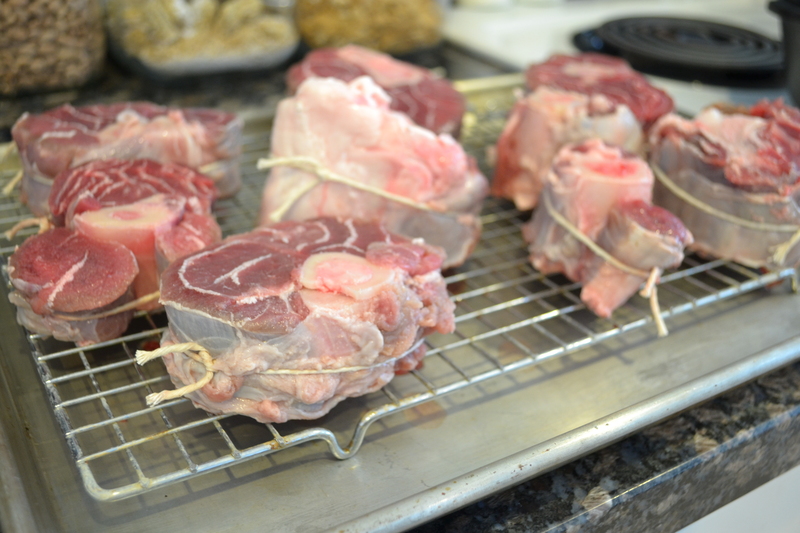 Tie up the shanks so the meat doesn’t fall off the bone during cooking. It provides a nicer presentation. Preheat the oven for 300°. Liberally salt and pepper meat. 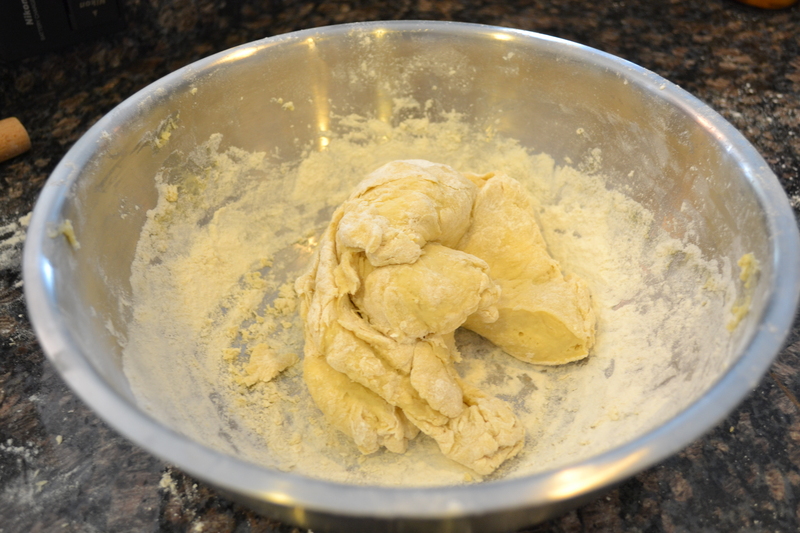 Dredge in flour..
Add oil to a cast iron dutch oven and heat. 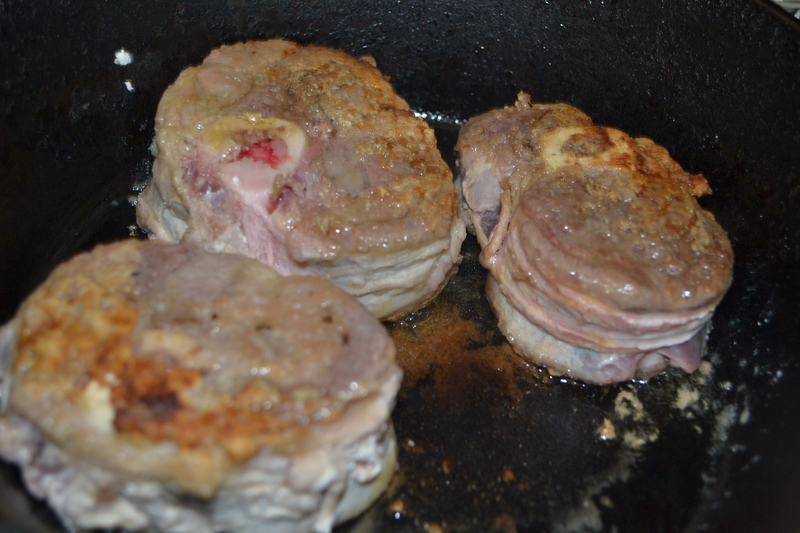 Brown meat on all sides and remove from heat. After I took this picture, I gave the meat some more time so there would be a nicer brown on it. 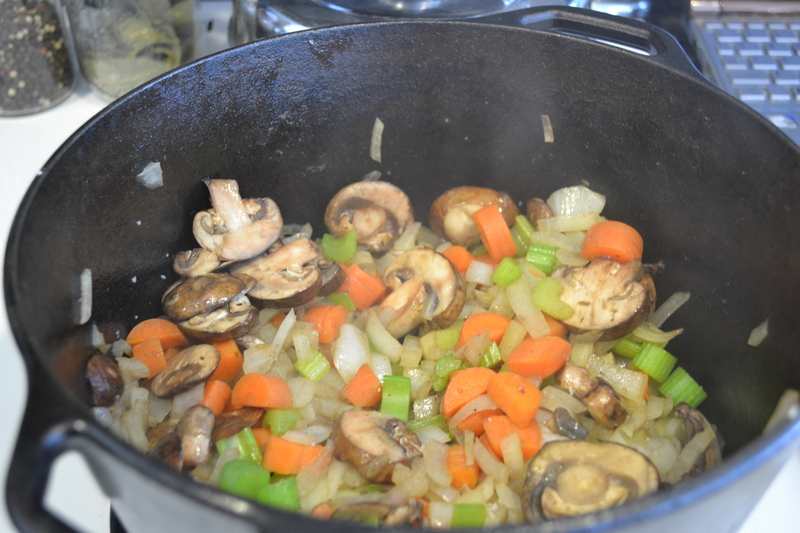 Add carrots, celery, onion, and mushrooms to the pot. Season with salt and pepper. Saute until beginning to brown. Add wine, stock, tomatoes, spices, and bay leaves. Bring to a boil. 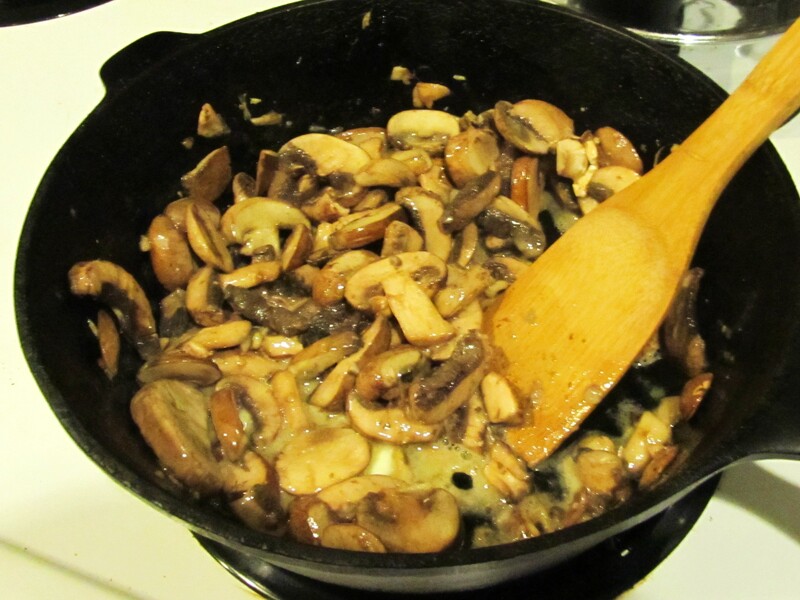 Stir up browned bits from the bottom. Add meat back into dutch oven. Cover with sauce. 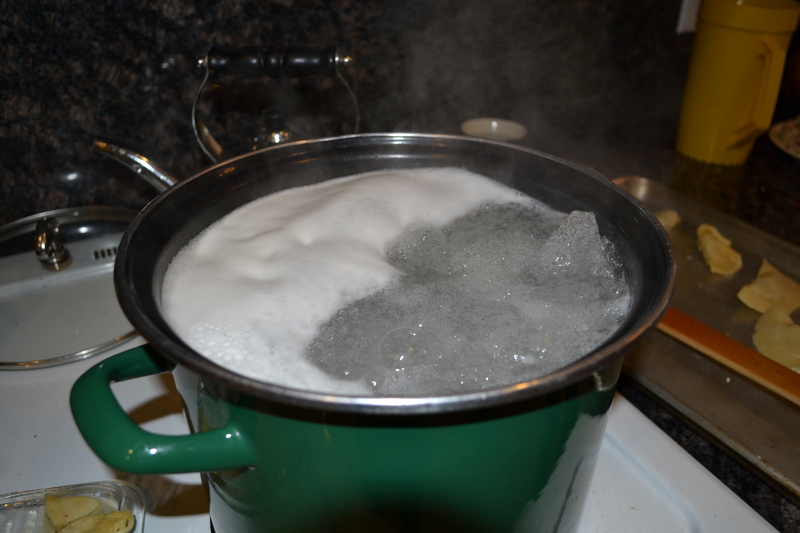 Reduce to a simmer. 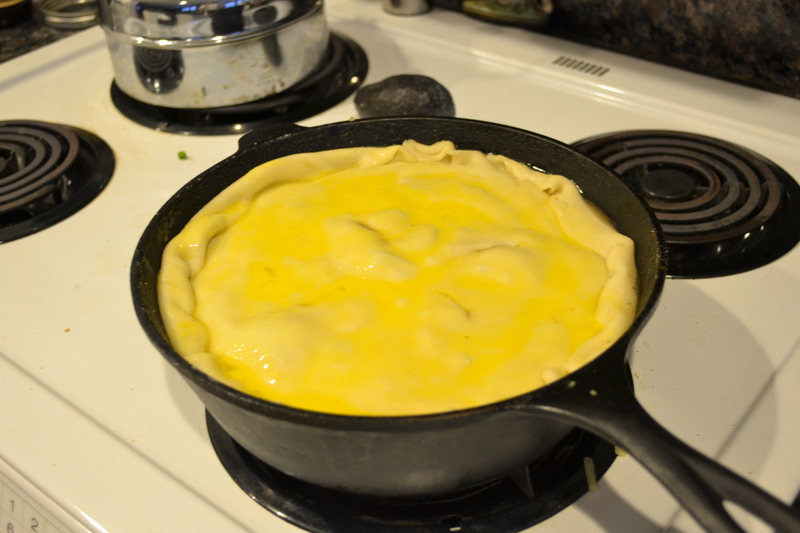 Place a lid on the pot and put the whole thing in the oven for about 3 hours. Check after a couple of hours to see if meat is getting tender. 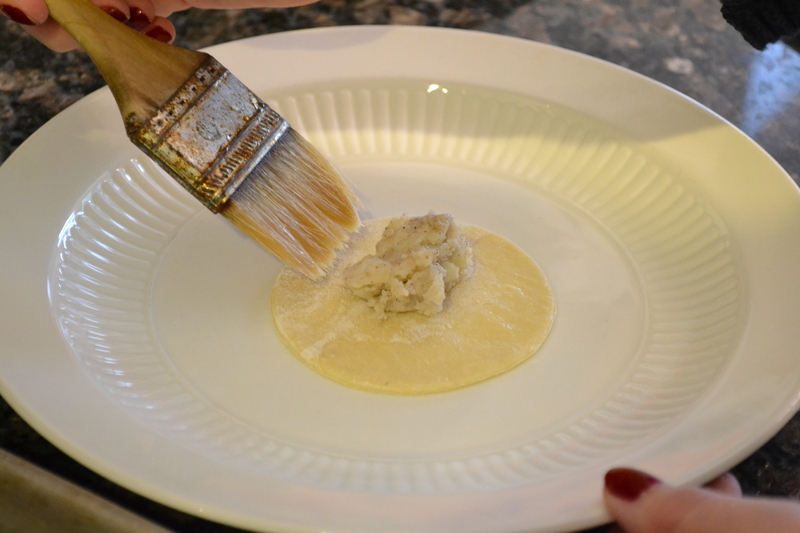 Serve over risotto, polenta, orzo or other worthy bed. Sprinkle with chopped parsley. This would be perfect for Valentine’s Day!